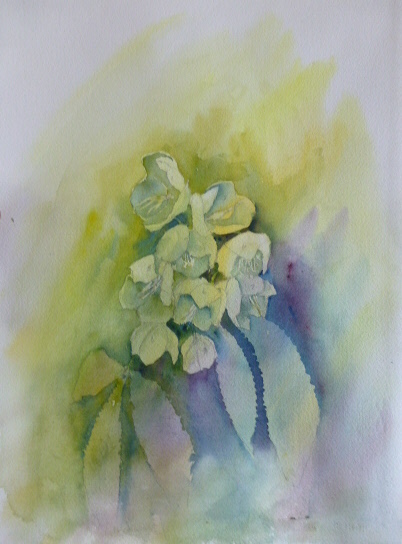 I am about to do a watercolour demonstration and this was the subject I was going to paint – or something like this at least. On my last post someone said they were interested in the steps of the work I showed so as I photographed each stage for my own planning purposes I thought that I could post them for anyone who is interested. 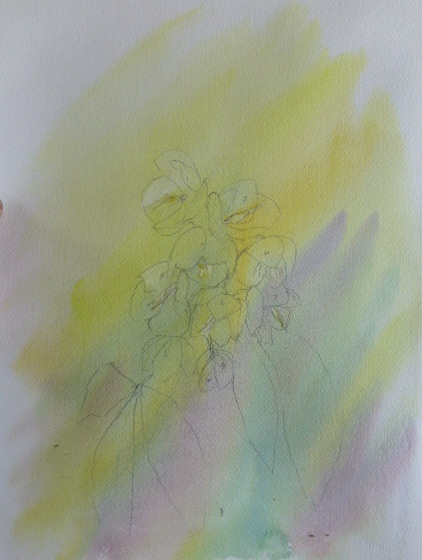 The first stage was do a drawing and cover the stamens with masking fluid. I then mixed up my colours, lemon yellow, cadmium yellow, a green mixed from Prussian blue and cadmium yellow, Prussian blue and purple made up from ultramarine blue and alizarin crimson. These were relatively strong mixes. 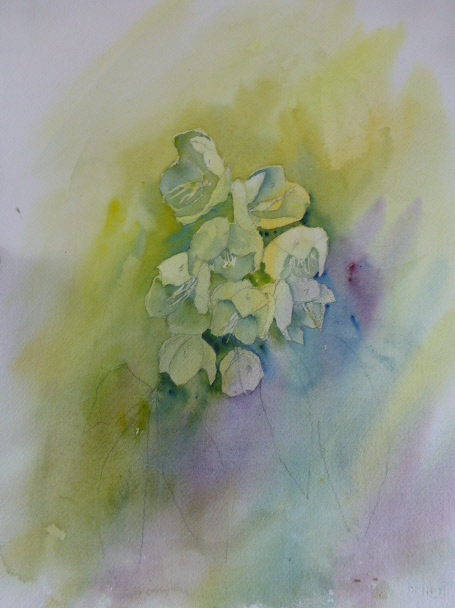 I then wet the entire paper and added the colours, trying not to blend them completely and, see the image below. 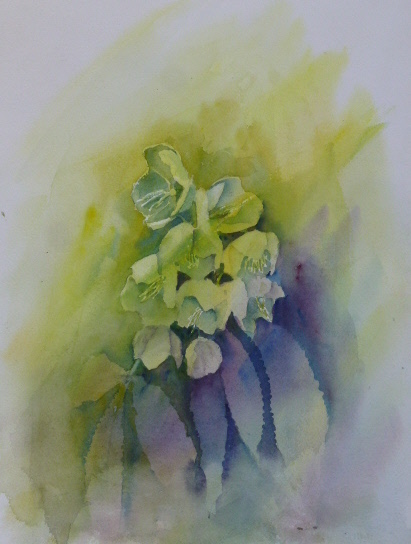 Finally I added an extra leaf between the two groups of leaves by further darkening the background. 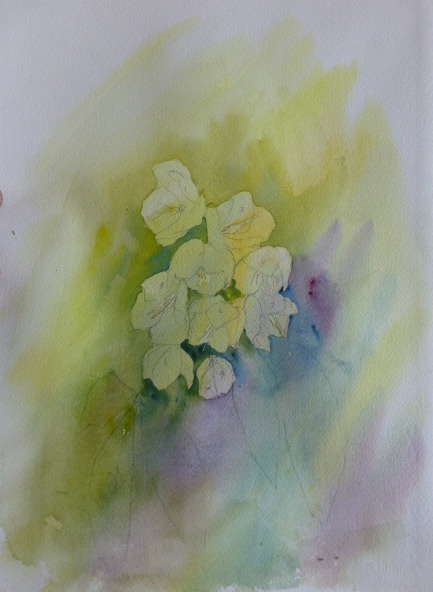 I then added some glazes of lemon yellow and purple over the flowers and the purple over the leaves to give the final image.